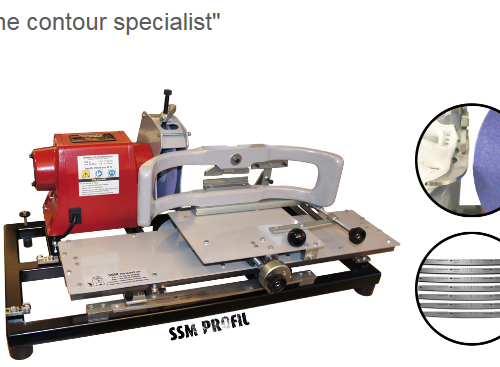 SSM-2 is one of the most popular skate sharpening machines in the world. The sales record speaks for itself, an astonishing 20000 pcs. sold so far throughout the world. This portable high quality skate sharpener is intended to do the finishing sharpening (flat or hollow) on skates. The main advantage with SSM-2 is that it is very fast and easy to use while delivering great precision. The SSM-2 is available in a CE-approved 220-240 V version and an ETL-approved 110-120 V version. from, to make it possible to sharpen any kind of skate. See Catalogue. for transportation. For such use we have the V-2 transport case available. Weight: 14.8 kg (31 lbs). All types of teams from youth to professional use the SSM-2 across North America. Also, families love it for its value, convenience and ease of use. Almost all KHL Teams in Russia, several Olympic Teams, numerous pro shops, figure skating clubs are proud owners of this trusted skate sharpener. It is proven, reliable and of highest Swedish quality. It’s been being used successfully worldwide for over 5 decades. 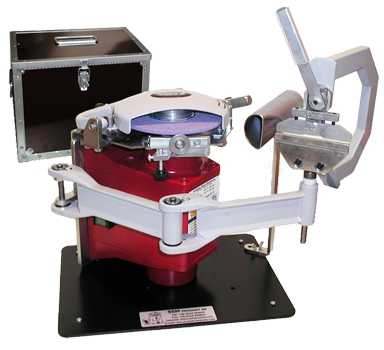 More than 20,000 copies of this skate sharpening machine have until now been sold throughout the world. This high quality skate sharpener is intended to do the finishing sharpening (flat or hollow) on skates. The main advantage with SSM-2 is that it is fast and easy to use. It sharpens with high precision. The machine weighs only around 14 kg (31 Ibs) . It is therefore very suitable as a transportable skate sharpening machine. For such use, we have the V-2 transport case available. You can use different skate holders with the SSM-2 (H-10, H-5, H-8 etc). SSM-2 is available in a CE-approved 220-240 V version and an ETL-approved 110-120 V version. The machine is delivered with an instructional video, DVD in English, Russian, French and Swedish. Almost no maintenance provided. Only replacement parts include easy to replace Grinding Wheels (after about 350 sharpenings) and the Diamond Dresser, average every 3-4 grinding wheels. A skaters blade profiling is very important for many reasons. 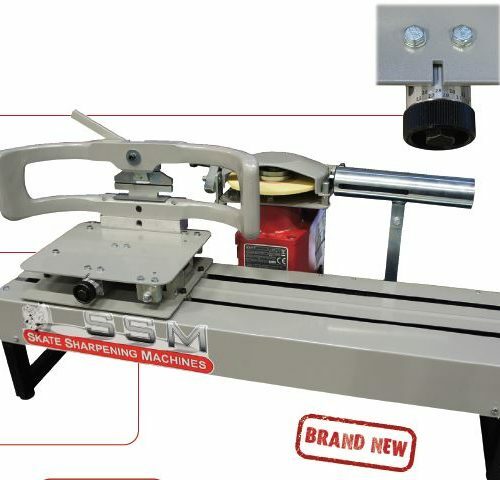 This skate contouring machine uses a vertical grinding wheel with the purpose of shaping the skate blade after a template, giving the skate different radiuses or glide surfaces. Thanks to the new design of the machine it will now manage all skates on the market (except Paramount SK8S and touring skates). skate blade very accurately. We got the idea when we designed the SRK PRO for SSM-2. to get centering. This device has an incredible precision! feeling. No friction to talk about whatsoever!